Toby Bainbridge lives in the village of Chavagnes les Eaux which is a short drive south from the city of Angers and has been making his wines from around 4.5 hectares of vines that he owns around that village. His wines have certainly made people sit up and take notice. They were included in the sailing of the brigantine Tres Hombres recently when it carried 10 tons of French wine from Brest to Copenhagen under sail for delivery to the world’s most famous restaurant, NOMA as well as some of our other favourites such as Relae and Manfreds & Vin. We are delighted that he has agreed to supply us from his small production. All his wines are bottled in clear Champagne bottles and are capped with crown seals. The clear bottles are used so that you can see the colour of the wine and the crown seals are to eliminate the possibility of cork taint. This wine is made from the red Grolleau Noir (aka Groslot Noir) grape that is only found at this end of the Loire Valley and rarely seen as a single varietal. The very old vines thrive in red clay and schist soils. The grapes underwent three weeks of whole bunch semi-carbonic maceration (the juice is not drained so both carbonic and alcoholic fermentation occur). Toby does not like to add carbon dioxide so uses a double lidded system in the tank to trap the ambient gas. The wine shows very fresh berry aromas and flavours, soft tannins and lots of juicy goodness. It tastes very fresh. The wine has a little carbon dioxide in it as a preservative so you might detect a bit of ‘fizz’ at the beginning when the glass is first poured. 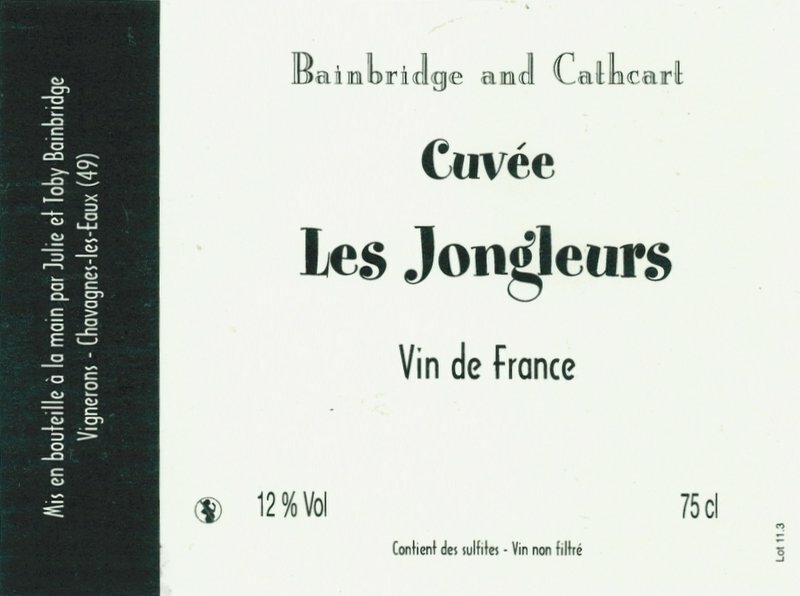 The vines are very old (at least 85 years and some possibly over 100 years old) giving rise to a beautifully structured wine which exhibits considerable charm. This is a dry Chenin Blanc made from 60 year old vines covering just 0.14 hectare from near Faye d’Anjou where the soil is sandy. Old vine Chenin is a real treat as there is a complexity in the wine that cannot be achieved from young vines. The wine is quite dry and is low in alcohol at only 12 percent. This is an excellent wine particularly when you consider the price. 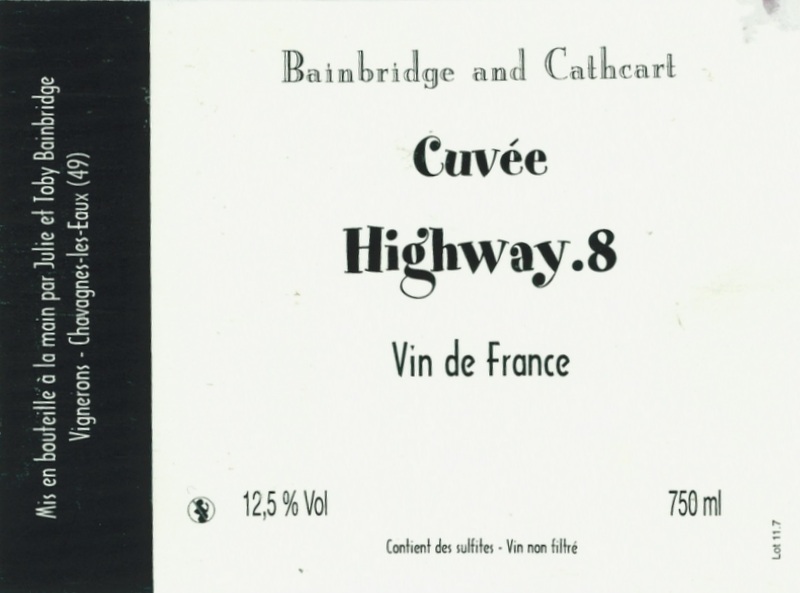 The Highway.8 is a 100% Cabernet Franc made in the same genre as the Golleau Noir. It is fresh, lively and eminently drinkable. The Anjou district of the Loire Valley is some of the best terroir for the production of wines from Cabernet Franc. The southern exposure of Toby’s vineyards means that the grapes get plenty of sun during the vital ripening time. Remember that it is packaged in clear bottles and is sealed with a crown seal. 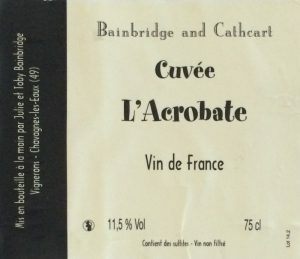 The l’Acrobate is a dry rose wine made from the Grolleau (Groslot) grape variety that is a lesser known grape in the Anjou area, but one that the locals love. 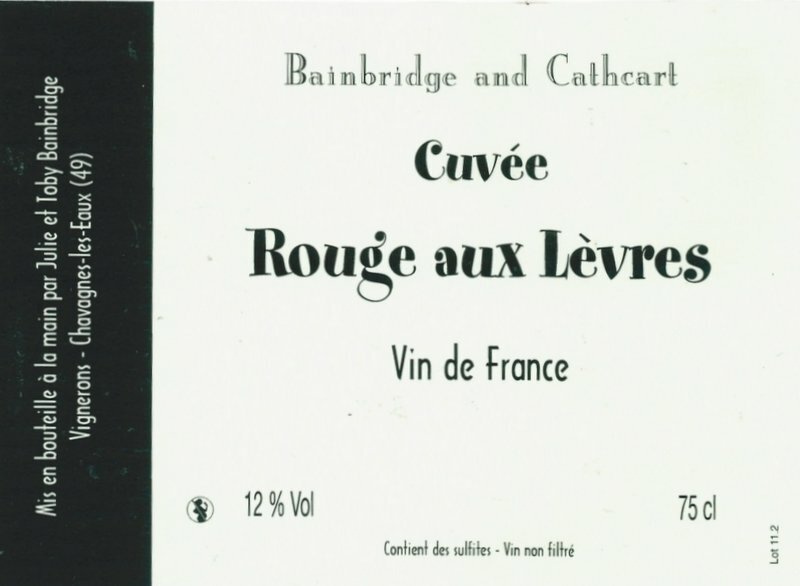 This wine is made from a very special parcel of Grolleau vines that are between 85 years old up to over 100 years old. The vines thrive in red clay and schist soils. We were stunned when we tried this rose out of the tank – it was beautiful! The grapes were pressed and then left on their skins for only two hours to develop the colour. The result is a very pleasant, light, dry rose with an appealing, slightly “bitter herb” touch on the finish. This wine represents very good value for money at this price.